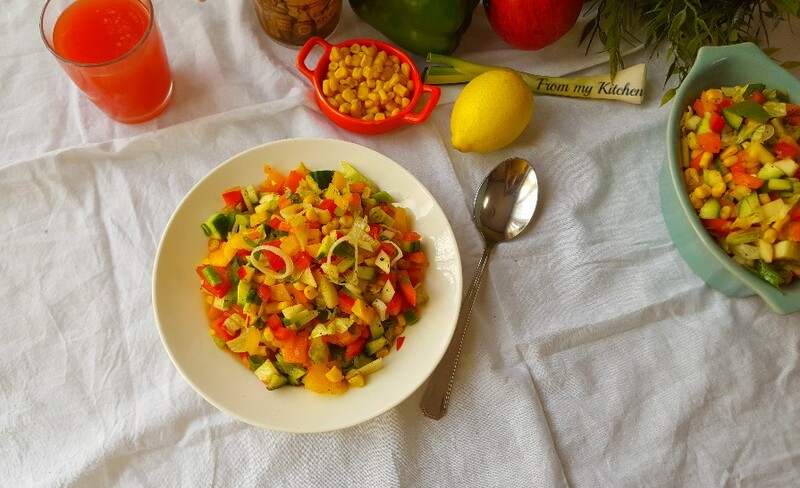 Again back with a colorful salad!Very refreshing salad with fruit and vegetables.This one is very apt for the season!With lots of colorful veggies it’s looking awesome!Really how beautiful the nature is with all these fruits and veggies! 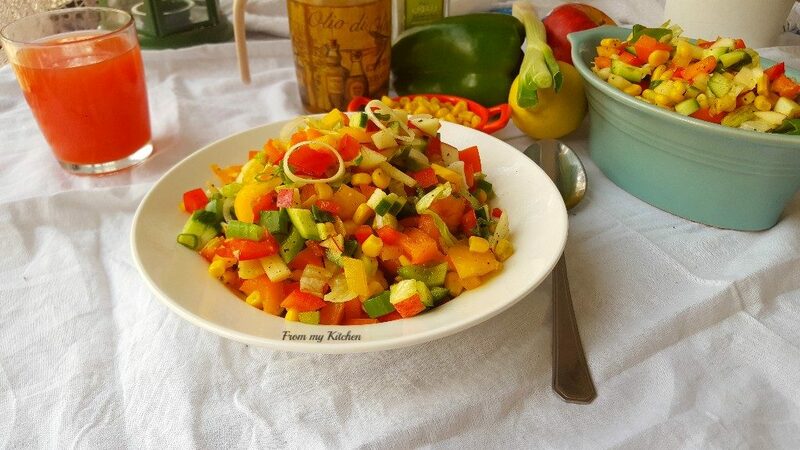 In this,i think most of the veggies are kids favorite!Those colours will definitely attract them.We can make it using any veggies and seasoning that’s the speciality of salad! 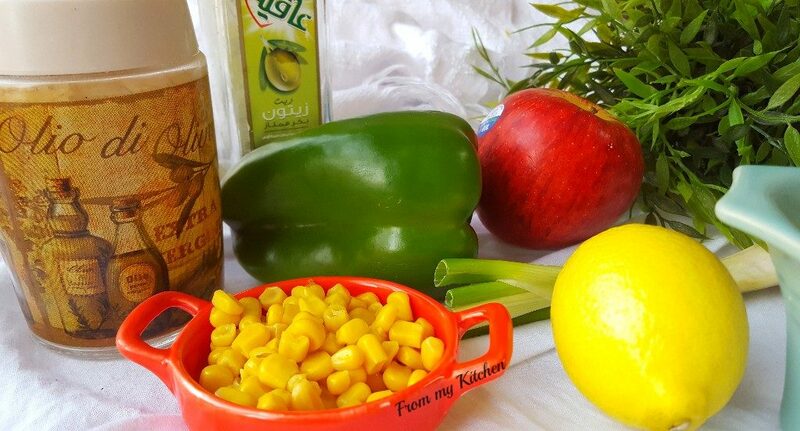 In this i used cucumber,corn,apple.lettuce.spring onion, 3 colours bell pepper and sweet corn.Dressing very simple with some olive oil,salt,sugar,lemon and pepper.Very easy to put together and very refreshing! 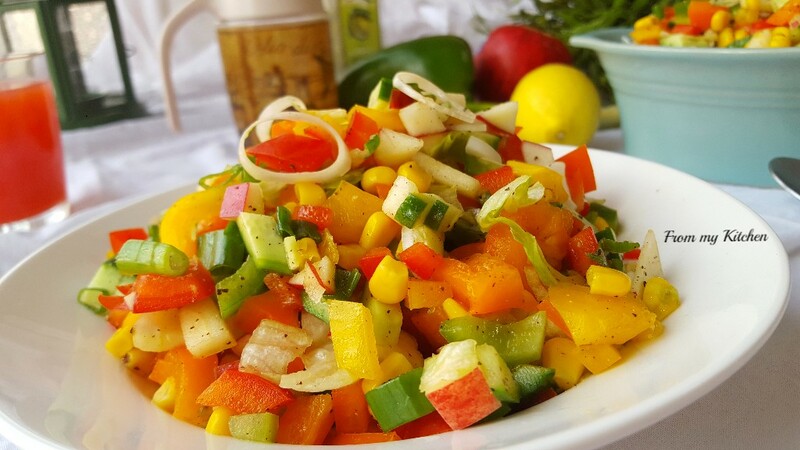 Chop all the veggies finely and mix it with dressing!Serve it chilled! 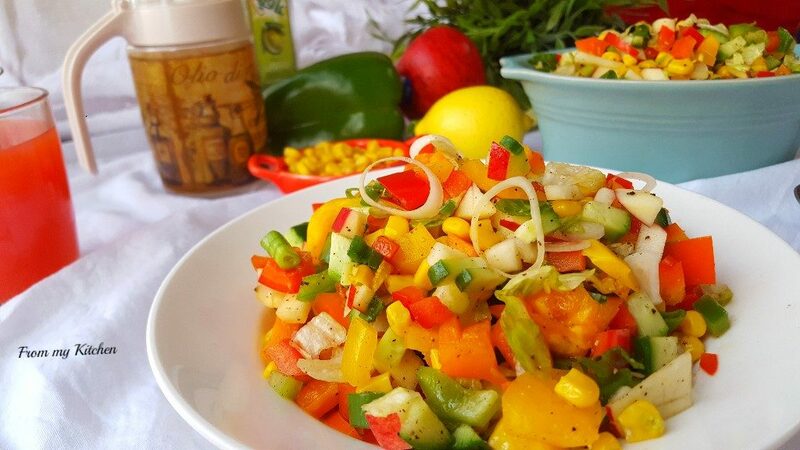 A quick and healthy salad is ready! 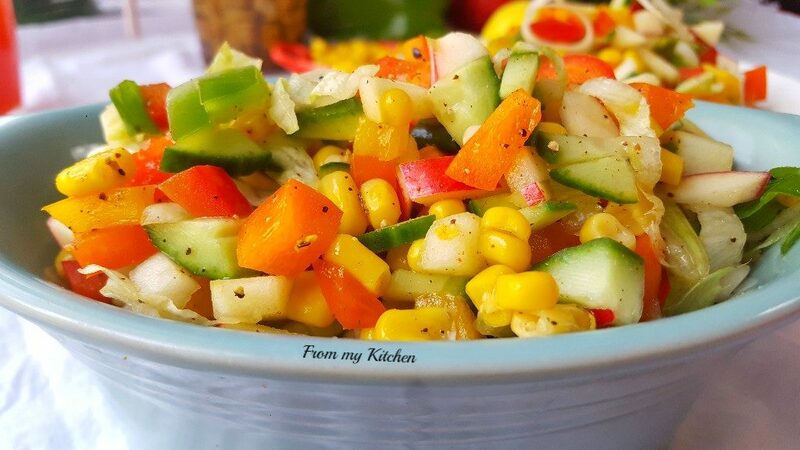 Mixed Salad in Cucumber Basket. Aa plate onnu tharo? 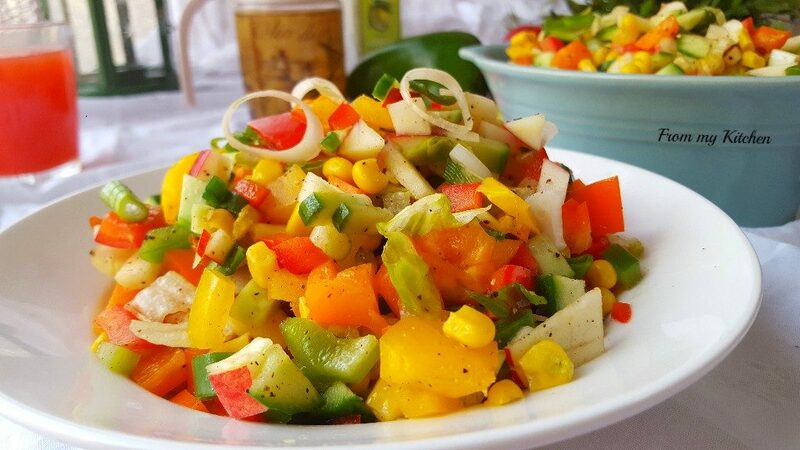 I love salads like these!